I have had a problem with my beetroot splitting. Can you tell me what has caused this? 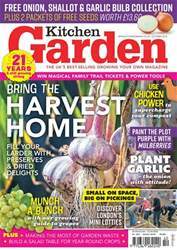 Emma Rawlings, deputy editor Kitchen Garden magazine EMMA SAYS: Splitting in beetroot is usually caused by uneven watering. For example, the very hot, dry weather we have had recently means that you will likely be watering and a sudden influx of water may cause the roots to swell quicker than normal, leading to splitting.